The CAO Flavours Petit Corona Sampler is a sample of 6 different flavors of cigars sized as Petit Coronas. Each of these cigars have a delightfully unique flavor, which cater to different tastes. Enjoy the incredible, myriad flavors of the extracts of Madagascar vanilla beans, the Georgia peaches, cherry and blackcurrant, honey from Florida Blossoms, coconut milk and chocolate truffles and also cocoa and nuts. Cameroon, Dominican and Nicaraguan tobacco leaves are showcased in this pack of cigars. This CAO Flavours Petite Corona 6-Cigar Sampler lets you experience some of the most delicious infused premium cigars on the planet. This mouthwatering myriad of sumptuous dessert flavors come expertly crafted with some of the world’s best-aged Central American tobaccos covered in an assortment of stunning wrappers. This top-notch sampler from the famed CAO Company is a certain hit for smokers looking to add some spice to their cigar smoking life. Love the flavors! Not a big fan of the cherry bomb, but it makes a good give away cigar. Always great cigars! Very flavorful throughout the smoke. Lasted longer than expected. Would recommend! My First Time Ordering From JR Cigars Was An Wonderful Wait. Only One Week Wait And They Were So Amazing And Good Too. I Do Recommend To All Cigar Lover's. 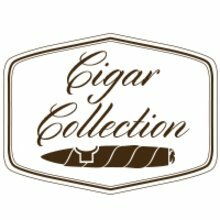 Great tasting cigars, perfect for an after dinner treat or with a morning cup of coffee. Not for everyone, but for anyone looking for a flavored cigar look no further. If you aren’t sure which one to try, why not get the sampler and try them all? These are my wife's favorites and I have to say even tho flavored cigars aren't my thing they do smell great and are well made. I thought I'd give these a try to see what all the fuss is about. They weren't bad and my wife commented that they actually smelled good. The taste just isn't for me, I prefer natural tobacco and the flavors just tasted synthetic which I guess is to be expected. They definitely have flavor! Some of the flavors are much more "potent" then others, but still a fun change if you're into the real thing. A great cigar for a group outing with non-smokers. You may even snag a convert or two with these.